The new best practice for job applicants is to create what is basically a “matching” resume and cover letter. The general idea of the matching resume with the cover letter is to deliver a lot of useful information to the prospective employer, and also make sure to synchronize the resume and cover letter properly. According to recareered.com 70% of those who read cover letters also said that they still don’t give interviews to a candidate with a resume that didn’t meet criteria, even if the cover letter was awesome – most wouldn’t read the cover letter if the resume didn’t meet criteria. Most people know that best practice for the document is to avoid repeating information which is already in the resume. 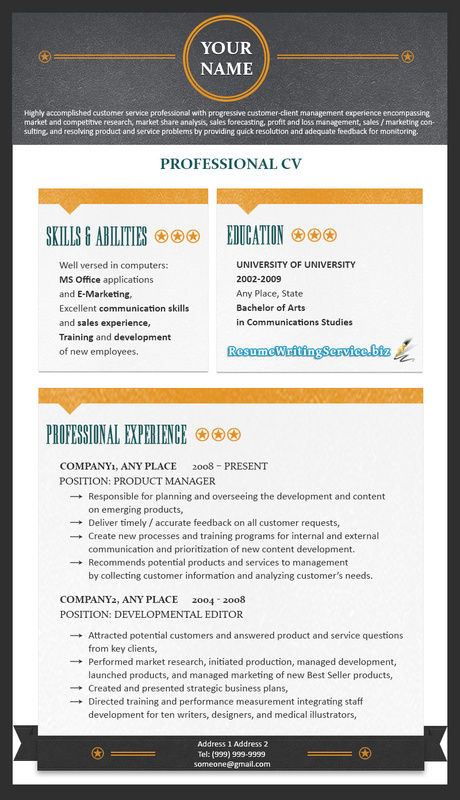 The idea of the matching resume and cover letter is to use the document to amplify information in the resume. If you check the latest simple resume examples, modern resume format, stylish resume and cover letters, you will note that a lot of emphases is being placed on a resume and cover letter writing with the cover letter effectively being an extension of the resume. There’s a good reason for this approach, and it’s worth taking the time to understand why it’s a better option than a conventional cover letter. One of the reasons for the evolution of the cover letter into an extended part of the resume is the fact that new resume formats are so much more efficient. In a functional resume, for example, there is a lot of very high value when the Skills section. This information can be amplified and developed in the cover letter very effectively. As you can see, in this case, the cover letter is used to add information to selected high-value skills. The same general principle applies to other areas of high value, in the Achievements and Employment history parts of the resume. The easiest way to manage to match your cover letter and resume is to systematically write your cover letter, choosing specific skills and achievements that you wish to highlight. This is also a good way of managing space, allowing you to select specific pieces of information and fit them into your cover letter is separate paragraphs or lists, depending on your preferences. The real issue for your cover letter is ensuring that information quality is good. You need to be highly selective when choosing your information for your cover letter. Bear in mind that this information needs to be high-value information for the employer and that it does need to present well. For example – Say you are an engineer and the critical job criteria for a position involves working on a particular type of electronic system. You would use information for your document which related directly to your experience and qualifications another credential regarding that’s type of system. This is called targeting. Best practice for modern job applications is to target both the resume and the cover letter to job specifics. It is also the best way of ensuring that your application ticks all the boxes for the employer, and poses computer screening effectively. The best resume formats for this type of targeting are functional resumes. Functional resumes are designed to be easy to work with, and easy to edit to meet job criteria requirements. Try a resume and cover letter matching exercise for your next job application. You’ll soon see why this is a much better option!